All refurbished products have been factory serviced, cleaned and tested and are in perfect working order. All machines carry a full year warranty on parts and labor. Some signs of use, no signs of abuse. Feel free to call us if you have any questions or to place an order. 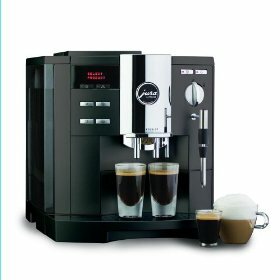 The Refurbished Jura Capresso Impressa S7 Avantgarde offers significant savings, an excellent 1 year warranty and are shipped out of the Jura Capresso factory service and repair facility within a fews day of your order. Jura Capresso Impressa S7 Avantgarde Espresso Machine Refurbished price $949. The Refurbish Jura Capresso Impressa S7 Avantgarde is one of the fastest and most versatile automatic coffee and espresso centers on the market today. Jura Capresso machines enjoy the best reputation for quality, performance and durability. Featuring Automatic or Manual Frothing. It grinds, tamps, brews and cleans up in less than 60 seconds… with a push of a button! Make perfect espresso, cappuccino, and latte or crema coffee… every time! Dual heating systems eliminate waiting between brewing and milk steaming. 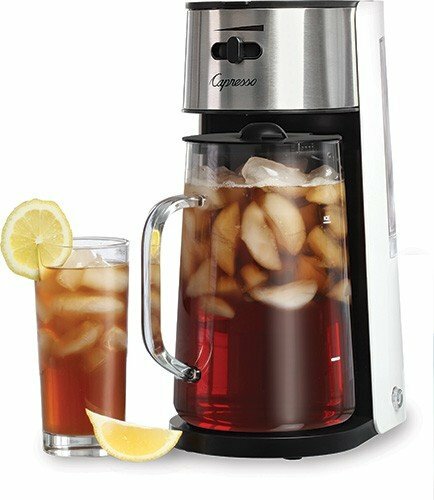 Four one-touch beverage buttons, all individually programmable for cup size, strength and temperature. Unique rotary dial to override pre-sets. One a la carte button to make any size or strength cup without programming a pre-set. Height adjustable dual coffee spouts accommodate tall cups up to 5.7″. Two Frothing systems: Dual frother plus and the automatic FrothXpress plus system are included. Low noise commercial solid steel conical burr grinder with 6 fineness settings. Electronic bean level sensor. Pre-ground coffee funnel: Allows you to use a different coffee than those in the bean hopper. Great for the occasional decaf. Large variable brewing chamber automatically adjusts to hold between 5 and 16 grams of ground coffee. Two stainless steel lined thermoblock-heating systems – Always ready to make coffee or steam, no downtime. 18 bar power pump – High pressure for coffee and espresso with nice crema96 oz. removable water tank. 8 oz. coffee bean container. 20 oz. milk container with FrothXpress plus automatic milk frothing system. 2-line LED display with acoustical support, viewable in 7 languages. Clearyl water care system – eliminates chlorine & makes decalcifying obsolete. Automatic display messages for rinsing, decalcifying, Clearyl replacement, cleaning and more. Cup illumination. Black ABS housing. Water hardness, Filter, 3 cleaning programs, coffee strength, cup size 1/2 to 16 oz, Temperature, Hot water portion, Steam portion, Energy savings setting, time, Auto on, Auto off, Consumption data, Language, and Metric or English. Includes: Jura Capresso S7 Instruction booklet, Quick reference guide and DVD.